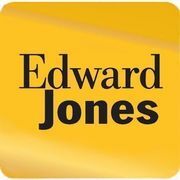 Rate and review Edward Jones - Financial Advisor: Jordan L Smith in Bethesda, MD, United States! Share your experiences at Edward Jones - Financial Advisor: Jordan L Smith with your friends or discover more Financial Advisors in Bethesda, MD, United States. ★★★★★ MV Capital Management, Inc. is a fee-only Registered Investment Advisory providing the management of Investment portfolios on behalf of a clientele of nonprofit groups and high net worth individuals.